Question starters - Typically, teachers give information and then ask questions about it. Hearing the question first, especially a great one, radically increases the need to learn the information just to find the answer. Questions, used strategically at the start of lessons or new schemes of work, can be powerful motivators. They can place students in the role of detective, searching for clues to solve an investigation. Open questions are the kind that lead to multiple (and sometimes contradictory or debatable) responses. Teachers ask lots of questions, the vast majority of them procedural. A carefully formulated and compelling question, which might be displayed prominently before the lesson has begun, can focus a whole class and stimulate a need for learning. Great questions are able to challenge beliefs and misconceptions and might be closely related to your subject's Threshold Concepts. Consider also the power of student-generated questions. See also 'Here's the answer, what's the question?' below. Can schools be built on questions? Open ended investigations - Assignments that are genuinely open ended require students to wonder, question, explore and investigate. However, such investigations need to be supported in various ways. For example, there should be some sense of a minimum expectation, a simple guide, a clear timescale and possibly even a great example. Extended Learning Enquiries, at their best, can inspire amazing levels of engagement, pride and excitement. But if they're not well designed, they can lead to mediocre work and very little learning. Exploratory talk - Discussion can be a way for groups of students to explore a new idea or even debate a misconception. Exploratory talk is designed to encourage pupils to listen critically but constructively to each other's ideas. Talk like this needs to be well-structured and operate with agreed rules. For example: everyone listens actively • people ask questions • people share relevant information • ideas may be challenged • reasons are given for challenges • contributions build on what has gone before • everyone is encouraged to contribute • ideas and opinions are treated with respect • there is an atmosphere of trust • there is a sense of shared purpose • the group seeks agreement for joint decisions. Hot-seating and role-play - Typically used in Drama and English lessons but applicable across the curriculum, hot seating is a technique whereby students are asked to occupy the 'seat' of a character and then quizzed by other members of the class. They answer these questions 'in role'. This encourages all participants to imagine a different viewpoint to their own, developing empathy and imagination (what an ex student once described as "wonderation"). How would this technique work beyond the language arts? How and why might you hot seat someone in the news, a historical or religious figure? Would it be possible to hot-seat a molecule or imagine the views of a decimal point? 'Thunks' - Some seemingly simple questions have the power to stop you in your tracks and make your brain go "Ouch!". For example, "Can you feel guilty for something you haven't done?" A Thunk can function as a mental warm-up, a way to get the brain working a bit harder. It can make an excellent starter for a lesson or be used to generate a cognitive gear change mid lesson. Whilst there are no right or wrong answers to Thunks, students should be required to justify their responses. Here's the answer, what's the question? - This is a simple activity designed to reverse engineer the usual process of question and answer. Instead of asking a question, the teacher or student provides an answer and others guess the question. For example, if the answer is 49, what's the question? If the answer is tragedy, what's the question? Often there is more than one possible question, so students should be required to justify their choices. Which is the best question? Question an 'expert' - Schools are full of experts so, if possible, why not recruit an expert to visit your class to be questioned directly by the students? Experts might also be found from amongst parents/carers and in the local community. If they can't physically visit the school, consider setting up a Skype session. Even asking students to imagine what questions they would ask an expert on a particular topic (whether or not one is actually available) can be a very revealing exercise. For example, "What would you ask Picasso about this painting if he was sitting next to you?" Another approach involves using the Mantle of the Expert. Linked to hot-seating and role-play, students are asked to imagine that they are experts in a particular field. They research the area of expertise, put on the mantle (archeologist, forensic scientist, military historian etc.) and work accordingly. Students might then quiz each other about their roles, responsibilities and discoveries. Guided research - Often associated with graduate and post-graduate level study, guided research is similar to open-ended investigations in the sense that it allows a student to pursue an area of study that may lie beyond the scope of the 'normal' or prescribed curriculum. An example of this might be the Extended Project Qualification undertaken by some Post 16 students. The phrase also describes the need for students to be given guidance about how to conduct strategic research (rather than simply typing a phrase into Google and hoping for the best). Students should be taught how to use the library, how to use an index, how to get the most from an online search engine, what to trust online and what to treat with suspicion etc. ​Helping hands key question - ​​This strategy is used by colleagues in Design Technology. Students are given a picture of a hand printed on card. When they want to ask a question they must give the card to the teacher. They are then unable to ask any further questions in the specified time frame. Students are therefore required to think very carefully about their chosen question so as not to 'waste' the opportunity. This technique leads to much more strategic thinking and active listening, since students must pay attention to others' questions and plan their own carefully. Think: Students think independently about the question that has been posed, forming ideas of their own. Pair: Students discuss their thoughts in pairs, allowing them to articulate their ideas and to consider those of others. Share: Student pairs share their ideas with a larger group, such as the whole class. Often, students are more comfortable presenting ideas to a group with the support of a partner. Students' ideas are refined through this three-step process. It also provides the teacher with valuable feedback about students' understanding and possible misconceptions. Reading aloud​ - ​Reading aloud is crucial to language development in the early years but can also have significant benefits for older students. Language comes to life when read aloud and shared with others. Oracy is the foundation of literacy. Being read to can be a magical experience. It takes practice and skill. It requires active listening. It is community building. Whether it's the teacher reading from a novel 'in character' or the collaborative class reading of a play, the recitation of poetry, the exploration of a historical source or students reading their own writing to the rest of the class, reading aloud should have an important place in the day to day life of young people. Reading aloud - are students ever too old? Get it, got it, give it - This strategy was suggested by colleagues in Maths. All students in class tackle a new topic or idea. Those that have "got it" then move around the class giving advice to other students. It is a form of peer mentoring which encourages collaboration through the sharing of student expertise. Group talk - ​Group work and talking in groups used to be almost a required feature of an "outstanding" lesson. More recently, the efficacy of group work and talk has been questioned. Activities done in groups can be transformational or they can simply give the illusion that work is being done but very little learning is really taking place. Like most activities in the classroom, group work and talk needs to be well planned and have a clear justification. The arrangement of the group(s), the ground rules, the purpose of the talk (which needs to be shared), the students' roles and responsibilities, the success criteria and your role as the teacher all need to be carefully worked out. Thankfully, there are lots of ways of organising groups talk from Talking (& Listening) Triads to the Jigsaw Method. The most significant benefit of well-planned group talk is a way for students to use the knowledge that they have acquired, dredging up information from their long term memories and putting it to some use. Learning in groups also allows you, the teacher, to observe whether or not your students have learned enough of what they need and whether pesky misconceptions are still currency. This allows you to make targeted interventions more effectively. Feedback should be kind, specific & helpful. It should be hard on content but soft on people. All students need the opportunity to step up and share their thoughts and then step back and let others have their turn. How can we create an "ethic of excellence" in our schools? it exists online and can't be lost. it can be refined and developed over time, reflecting the student's growing abilities, understanding and design skills. it can be shared with many other viewers via the Internet, creating a wider audience and greater opportunities for feedback. it can look very professional quite quickly and can mirror real world web based documents. it can contain interactive, multimedia content that is engaging to create and view. Publish the process - There are many reasons why it's important to share work in progress (rather than just the finished outcome) and a range of strategies for doing so. Students need models from which to work and those that reveal how they have been made are most useful. Sharing incomplete projects helps to demystify the learning process. Learning is often a messy business and the process of crafting and improving should be celebrated. Students benefit from seeing how something sophisticated can be constructed from multiple steps. Misconceptions can be tackled by sharing wrong turns and dead ends, since these are likely to have been encountered by all students at some point. Celebrating the process of learning something new highlights the need to develop good habits and a growth mindset. You could experiment with publishing the process by: creating a wall display of work in draft • sharing work in process on a blog or website for others to comment on • beginning a lesson with an incomplete piece of work and asking students to offer suggestions for next steps and/or improvements etc. To enable students to develop the skills and confidence to become highly effective independent learners, taking greater ownership of content, sequencing, mode of delivery and assessment. To ensure that students’ prior learning is always the starting point for further learning and that formative assessment practice is firmly embedded. To create an environment that unleashes teachers’ and students’ creative energy, as traditional roles are broken down and the teaching and learning processes merge. I teach you, you teach it back - ​Closely linked to co-construction, this strategy is a tried and tested way for students to reinforce their own understanding by formulating a lesson for others. Students are taught something. They are then required to teach it to another student. The teacher can observe the process in order to see which concepts have been grasped fully, whether misconceptions are getting in the way and where there might be gaps in the student's understanding. Modelling - Teachers use models for different purposes. A model of excellence (an example of a fine piece of work) can help to establish a benchmark or target. Ron Berger describes many examples of these models in his book 'An Ethic of Excellence'. Students need to understand what excellent looks like. Secondly, students also need models of how to get there (this is sometimes referred to as scaffolding). This may involve a demonstration of a sequence of steps. A diagram, flow chart or list can work well, depending on the assignment. Of course, teachers model attitudes, behaviours, competencies, mindsets and values too! See also 'Scaffolding'. Regular engagement with dialogic talk can build persistence and confidence. If students expect to have their observations challenged (supportively), the bar is continually raised. It's a good idea to let a group of individuals know in advance that you intend to quiz them with a series of questions about their understanding. An extended sequence of well judged questions can then model the thinking process to the whole class, developing an explanation or justification with increasingly accurate and specific use of language. Teachers can design questions that test specific understanding for specific individuals. Questions can be used to develop a line of enquiry, extend thinking and diagnose possible misconceptions. This technique is effective when linked to thinking time - waiting for a period of time after the question has been asked so that students can formulate an answer. See also 'Pose, pause, pounce, bounce'. Frequent, low stakes testing - ​​We might assume that the function of testing is to assess students' performance. Have they learned what we wanted them to know? However, some research suggests that frequent, low stakes tests can also help students learn. Testing and re-testing aids retrieval and retention of information (better than just studying). "Frequent" could even mean every lesson for a few minutes. Testing can also improve the transfer of knowledge to new contexts. There's even the suggestion that testing can help students remember things that weren't even tested! Lots of small tests of material (that has just been studied) seems to be a far more efficient process of knowledge building than big, infrequent tests preceded by lots of cramming. Testing and assessment: have we been doing the right things for the wrong reasons? Mindsets - ​Carol Dweck's psychological research, resulting in her Mindset theory, proposes the relatively simple idea that it is what someone believes about his or her own intelligence that will determine how s/he approaches a problem or a setback. A Growth Mindset is preferable to a Fixed Mindset. Encouraging students to accept the notion that intelligence is flexible, expandable and adaptable, like a muscle that strengthens with deliberate practice, can have a dramatic effect not only on performance but also on self-esteem. This isn't just about effort. Effort needs to have a focus. The idea has its critics. However, used cautiously, mindset theory can pave the way for discussions with students about the relationship between attitudes and the capacity to learn. Effort-based assessment - ​Linked to the development of a Growth Mindset (see above), assessment is focused on the amount of effort the student has used to reach a particular learning goal rather than assessment being linked to performance. As Dweck and others are keen to point out, effort alone is no guarantee that learning is taking place and a specific challenge or target should always be the focus of the effort. Effort-based assessment should be used strategically to explicitly support the development of students' persistence. Part of our assessment strategy at KS3, for example, is to assess students' effort towards the development of their Habits of Mind. Students' self-assessment should be an important part of the process. Scaffolding - ​In the early stages of learning a new skill or concept, students benefit from structured support. This is often referred to as scaffolding. Scaffolding might take several different forms: teacher modelling, sequences of tasks, templates and guides, exemplar outcomes etc. Scaffolding helps prevent the situation where a student feels that the task is beyond them and so gives up too early. It can also stretch and challenge a student who might be tempted to complete the task too quickly or be unclear about the level of response required for success. Scaffolding is linked to Vygotsky's notion of the zone of proximal development. The teacher provides some form of scaffolding to move the student from what is not known to what is known. Just like scaffolding on a building, support is gradually removed as the student gains in confidence and 'mastery' of the new knowledge. See also 'Modelling'. Knowledge organisers - ​Knowledge Organisers (sometimes known as Learning Mats) attempt to specify and visually organise a specific body of knowledge in reduced form on a single page. They can help teachers decide what exactly they want their students to know. They support students in making explicit what has been learned, what needs to be remembered and provide a handy resource for revision. In subjects where students need to know a large amount of information, Knowledge Organisers, if used frequently and linked to similarly frequent, low or no stakes testing arrangement, can help to move knowledge from the short to the long term memory, thus supporting the development of 'mastery'. A similar type of single page resource can be used to support literacy across the curriculum and a subject's Threshold Concepts, for example. See also 'PLCs' and 'Threshold Concepts'. Pose: Ask a question, explaining that you want students to think hard about their answer. Pause and wait for as long as possible. Students keep their hands down at all times. Pause: Ask the class to think hard and keep their thoughts to themselves. Don't allow anyone to shout out. Pounce: Identify a student and quickly ask them to answer your question. Again, hands down. No interruptions from others. Bounce: Identify another student to respond to the first answer. Consider bouncing to another student for an additional opinion. The technique can become an established routine in your classroom. It's a great way to discover whether what has been taught has really been learned by the students.​ Dylan Wiliam uses the analogy of 'basketball' to describe this dynamic process of questions, answers and opinions bouncing around the room which he contrasts with the back and forth (and less effective) 'table tennis' of teacher question followed by student answer followed by teacher evaluation. Oblique strategies - ​Oblique Strategies (subtitled Over One Hundred Worthwhile Dilemmas) is a set of cards, created by Brian Eno and Peter Schmidt, used to break deadlocks in creative situations. Each card contains a (sometimes cryptic) remark that can help resolve a creative dilemma. For example: • Use an old idea • State the problem in words as clearly as possible • Only one element of each kind • What would your closest friend do? • What to increase? What to reduce? • Are there sections? Consider transitions • Honour thy error as a hidden intention • Ask your body • Work at a different speed. The idea is to come at the problem from an unusual (oblique) angle, taking it, and your brain's conventional ways of thinking, by surprise. Various web-based versions of the cards are available. You may wish to create your own Oblique Strategies suitable for your discipline/classroom. ​Interleaving - Conventional wisdom might suggest that in order to learn something complex we should attempt to subdivide the skills required and practice them one at a time in sequence (AAA, BBB, CCC etc.) This might be called 'blocking'. However, research in cognitive psychology now suggests that we might approach the challenge differently, interleaving the various components (ABC, ABC, ABC etc.) The technique seems to work particularly well in maths where the interleaving of component parts of new knowledge reduces the risk of rote responses. Rather than rehearsed answers, the brain must continually focus on searching for different solutions. There is some evidence that interleaving requires some prior knowledge with the material being studied to work effectively. Where students are tackling a completely new and complex task (e.g. learning a new foreign language, for example) interleaving might have little, no or even negative effects, leading to greater confusion. Clearly, interleaving does not suit all subjects or all topics. However, the basic message is that mixing things up in your teaching can have positive effects in the longer term for students, helping to move knowledge from short to long term memory. Formative assessments are generally low stakes (as distinct from summative feedback which is to evaluate performance). Regular formative feedback supports the development of the discipline of crafting and improving. Peer assessment - ​Formative peer assessment can be a powerful tool for developing students' responses to a particular assignment. The process is straightforward but benefits from a culture of peer assessment having been established in the classroom. Students provide suggestions to each other about how work can be improved. This has benefits for both the receiver and the giver of the feedback. See also 'Critique'. It is the point where you move from one key idea/activity/point on to another. Understanding the content before the hinge is a prerequisite for the next chunk of learning. perhaps the most important feature of hinge questions is that it should be impossible for students to get the answer right for the wrong reasons. In other words, the question must be designed in such a way as to correctly assess whether students really understand the material or not. This then enables the teacher to decide quickly whether s/he can carry on with the lesson, spend some time in discussion or go backwards to revisit previously taught material that students have not yet fully understood. Do they understand this well enough to move on? DIRT - ​Directed Improvement and Reflection Time is a strategy designed to get students to focus on crafting and improving their work. DIRT enables students to respond to feedback given by the teacher. The temptation is to try to mark everything. This is not only impossible to sustain but relatively useless as a strategy for improving the quality of students' work. A more sensible strategy is to think of marking as feedback and make sure there is enough time in your lessons for students to do something with the feedback you have given them about a specific piece of work. Don't be afraid to dedicate significant time in your lessons for DIRT. "If it isn't excellent, it isn't finished." See also 'Re-draft' and 'Critique'. Habits self-assessment - ​It is important to provide students with opportunities to assess their own strengths and areas for improvement relating to the Tallis Habits. 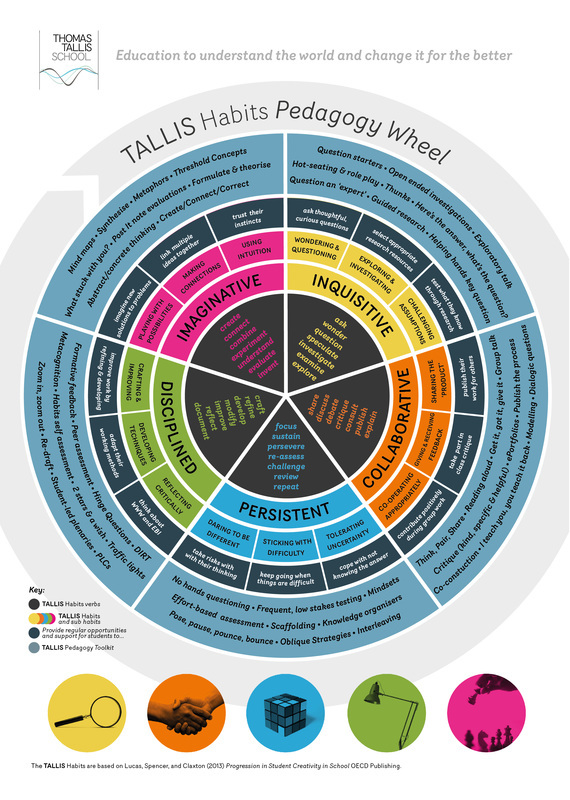 One simple strategy is to use the Tallis Habits Wheel. Students shade in segments of the wheel, returning later to assess whether or not particular habits and sub habits have strengthened. A technique like this can bookend a project or scheme of work.  Students may also have an opportunity to regularly assess their habits by using the Tallis Habits web app. 2 stars & a wish - This is a simple strategy to enhance peer assessment. Students identify two positive aspects of the work of a classmate and then express a wish about what s/he might do next time in order to improve another aspect of the work. Teachers model the strategy several times, using samples of student work, before asking the students to use the strategy in pairs on their own. They check the process and ask pairs who have implemented the strategy successfully to demonstrate it to the whole group. Traffic lights - ​A Red, Amber, Green traffic lights system is a simple strategy for indicating understanding and enhancing formative self-assessment. Students can display the relevant colour card to alert teachers about their current need for support: Green - I understand this well; Amber - I need a bit of support; Red - I don't understand and need help. Students might also use this system when working collaboratively to indicate the collective understanding of the group. The process allows the teacher to circulate whilst students are working and see quickly where support is required without students having to stop working to request help. A RAG system can also be linked to summative teacher feedback, often referred to as RAG rating. Zoom in, zoom out - ​This technique encourages students (and teachers) to compare the skills needed for learning to the techniques used in the creation of films. Film directors use the camera to zoom in and out for specific reasons. Students also need to be able to balance the need for close-up analysis of material with a wide angle view. David Didau sees a parallel with Bloom's taxonomy. Zooming in enables close analysis - identify, explaining, exploring and analysing. Zooming out is about seeing the big picture - evaluating and creating. Re-draft - ​The process of drafting and re-drafting a piece of writing (perhaps several times) supports students' abilities to craft, develop, refine and improve, responding to teacher feedback. It may be one of the processes used in DIRT (Directed Improvement and Reflection Time) and should more than simply copying up into 'best'. The purpose of re-drafting is one of iterative improvement. This might mean cutting back or pruning as well as making additions and enhancements. It will inevitably involve correcting for accuracy of spelling, punctuation, grammar but also correcting misconceptions or wrong turns. It requires the writer to view his or her work from the point of view of the reader. PLCs can help to diagnose the current state of play (where are you?) They can be therapeutic (what help do you need?) They are used for assessment (what do you know?). They can be used in and outside the classroom, helping students to understand and meet the requirements of a particular course or examination. The main idea, subject or focus is crystallised in a central image. Mind mapping promotes higher order synthetic and evaluative thinking. The combination of words and images aids recall and the process of creating the mind map supports metacognition. Synthesise - ​Synthesising, a step on from summarising, involves combining separate ideas into a coherent whole. Synthesis is a higher order skill, the creation of a kind of mosaic, greater than the sum of its parts. In philosophical terms, synthesis is the outcome of dialectical thinking whereby a thesis is contradicted by its antithesis, leading to the creation of a synthesis. Encouraging students to develop a theory, imagine criticisms of that theory and identify common truths in the formation of a new proposition promotes synthetic thought. See also 'Formulate & theorise'. Metaphors - ​Everyday language is filled with figures of speech (metaphors and similes). Often, metaphorical language connects a relatively abstract idea (life, death, love etc.) to something more concrete. One is directly associated with the other as in the phrase "All the world's a stage" from Shakespeare 'As You Like It'. A direct comparison is made between life and acting, a rich and complex direct comparison which causes us to reflect deeply on all the possible connections. Metaphorical learning is therefore the deliberate encouragement of this type of associative thinking. See also 'Abstract/concrete thinking'. As students become more confident, working their way across the threshold, they will begin to recognise and understand these big ideas. They will become more useful in helping them think hard about what they do. They also enable students to make connections between the big ideas in the subject they are studying, making sense of a journey that might begin in Year 7 and culminate in Year 13. ​For the teacher, Threshold Concepts provide a structure upon which to design the curriculum, identifying the foundational knowledge and skills that underpin the discipline and reducing the risk of content overload. Betwixt and Between - what's the value of Threshold Concepts? Designing a new curriculum - what are your big ideas? What stuck with you? - ​This strategy can be used in a number of ways but works well as an end of lesson or topic activity. Students are each given a Post It note and asked to write/draw the idea, fact or concept that they will take away. These can be displayed on the door of the classroom (or somewhere equally prominent) and used as the starter for the next lesson, making explicit prior knowledge. These are also referred to as Exit Tickets. An alternative might be to ask students to write one question they would still like the answer to. Post it note evaluations - ​The ability to identify and communicate an idea as concisely and precisely as possible is a skill that is tested in this strategy. Students are given a Post It note (or equally small piece of paper) and asked to write an evaluation of their work (this could take the form of What Worked Well and Even Better If, for example). This is meant to be a quick activity, perhaps done at the end of a lesson or at a 'hinge' moment in the lesson. There is no room for waffle! Formulate & theorise - ​The word formulate means to "make from scratch", to take raw material and form it into something new. Reflecting the scientific method, this strategy asks students to assess available information in order to develop an hypothesis, to conjecture and theorise. This supports the work of the imagination, making connections and playing with possibilities. Abstract/concrete thinking - Tom Sherrington describes the "tipping point" in many subjects "when the learning moves beyond the territory of tangible ideas, objects and observable phenomena into the realm of the abstract. Taking students across this divide is a key aspect of enabling them to access higher level learning." Teachers must make decisions about when to zoom in and zoom out, when the micro is better than the macro, when knowing and understanding a technical phrase like Depth of Field is useful, rather than simply observing its effects. We should be in the business of building powerful knowledge, cognitively superior to the everyday wisdom brought from home, and this requires teachers to be explicit about the connections between the concrete and the abstract. See also 'Zoom in, zoom out' and 'Threshold Concepts'. ​Create/connect/correct - This phrase describes the iterative cycle of Design Thinking. This approach can be used by students to solve problems of all kinds. The full cycle of activities can also be described as follows: Discovery, Interpretation, Ideation, Experimentation, Evolution. The process is similar to other models such as TASC (Thinking Actively in a Social Context): Gather/Organise, Identify, Generate, Decide, Implement, Evaluate, Communicate, Learn from experience. Designers solve real world problems using an iterative process of crafting and improving based on constant feedback. The skills used by designers (in a wide variety of fields - architecture, engineering, product design, medicine etc.) can also have great benefits for students in the classroom. See also 'DIRT', 'Oblique Strategies' and 'Open-ended investigations'.